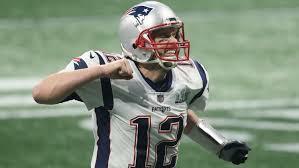 The Patriots claimed their sixth ring in Super Bowl LIII at Mercedes Benz Stadium in Atlanta, Georgia last Sunday winning 13-3 against the Los Angeles Rams in the lowest scoring Super Bowl of all time, tying the Pittsburgh Steelers for the most Super Bowl wins in National Football League history for a franchise. The game was a defensive struggle from the start of the game, as the only score of the first half was a 42-yard field goal by kicker Stephen Gostkowski. The Rams tied the game in the third quarter when kicker Greg Zuerlein booted a 53-yard field goal. In the fourth quarter, Patriots’ running back Sony Michel rushed for a 2-yard touchdown during the only red zone opportunity of the game for either team, followed by a successful Gostkowski extra point. The Patriots’ kicker would strike again later in the game when he converted a 41-yard field goal, almost guaranteeing the Patriots would be champions again. Sharon High School student and staff were surprised about how low scoring the game was. “I thought it was more of a defensive battle than I was anticipating,” said academic lab teacher Ms. Jacqueline Leblanc. “I think it was a good Super Bowl. I think it was obviously not as offensively active as we thought it was going to be…,” said senior Mikey Anchan. “I think that it was a defensive show that we have not seen nor did pretty much anyone anticipate,” he added. “This was the best season for offense in NFL history and it was the lowest Super Bowl ever, so I was pretty surprised by how low scoring it was. It was a little boring at times, especially the first half.” said senior Ethan Stafford. English teacher Ms. Lisa Jolicoeur said that this was the game she expected, “I expected it to be a game about defense and I think our defense won it for us,” she said. Wide receiver Julian Edelman won the Most Valuable Player award, but Leblanc did not agree with it. “I did not think that Edelman should have won MVP, I actually think someone on the defense should have like [Donte] Hightower,” she said. Hightower ended the game with 2 sacks, 2 tackles for loss, and a deflected pass at linebacker. Leblanc was very impressed with how the Patriots shut down the highly ranked Ram’s offense. “… Belichick planned better and Goff was a deer in headlights and he very much looked that part,” Leblanc said. Anchan agreed with Leblanc. “We held them to 52 yards in the first half, total. We shut down one of the most innovative coaches in the league and one of the most high powered offenses, I think it was the second highest ranked offense in the league,” Anchan said. Despite the low scoring game, most people were happy about the end result. “…the Pats won which is all I was looking for so I was happy with the final result,” says Stafford. “…at the end of the day, a win is a win. I think it is great that Tom Brady gets to have his sixth [ring]…,” says Anchan.